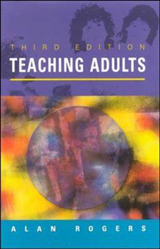 A practical guide to the essential practice that builds better teachers. 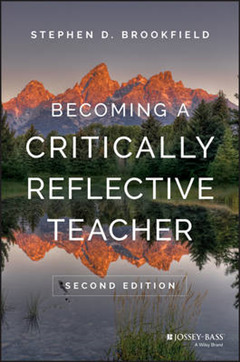 Becoming a Critically Reflective Teacher is the landmark guide to critical reflection, providing expert insight and practical tools to facilitate a journey of constructive self-critique. Stephen Brookfield shows how you can uncover and assess your assumptions about practice by viewing them through the lens of your students' eyes, your colleagues' perceptions, relevant theory and research, and your own personal experience. 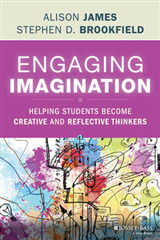 Practicing critical reflection will help you * Align your teaching with desired student outcomes * See your practice from new perspectives * Engage learners via multiple teaching formats * Understand and manage classroom power dynamics * Model critical thinking for your students * Manage the complex rhythms of diverse classrooms This fully revised second edition features a wealth of new material, including new chapters on critical reflection in the context of social media, teaching race and racism, leadership in a critically reflective key, and team teaching as critical reflection. 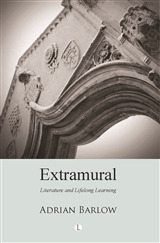 In addition, all chapters have been thoroughly updated and expanded to align with today's classrooms, whether online or face-to-face, in large lecture formats or small groups. 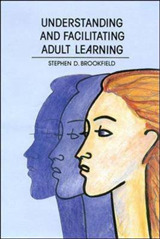 In his own personal voice Stephen Brookfield draws from over 45 years of experience to illustrate the clear benefits of critical reflection. Assumptions guide practice and only when we base our actions on accurate assumptions will we achieve the results we want. Educators with the courage to challenge their own assumptions in an effort to improve learning are the invaluable role models our students need. 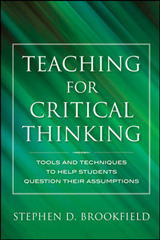 Becoming a Critically Reflective Teacher provides the foundational information and practical tools that help teachers reach their true potential.